What started as an initiative of a few parents of Autistic children in Asmara soon gathered interest and parents of children with Down’s Syndrome and other mental health disorders were presenting with their needs from many other parts of the country. In November 2010 having registered as the National Autism & Down’s Syndrome Association of Eritrea (NADSAE) they held their founding conference under the auspices of the Ministry of Labour and Human Welfare. 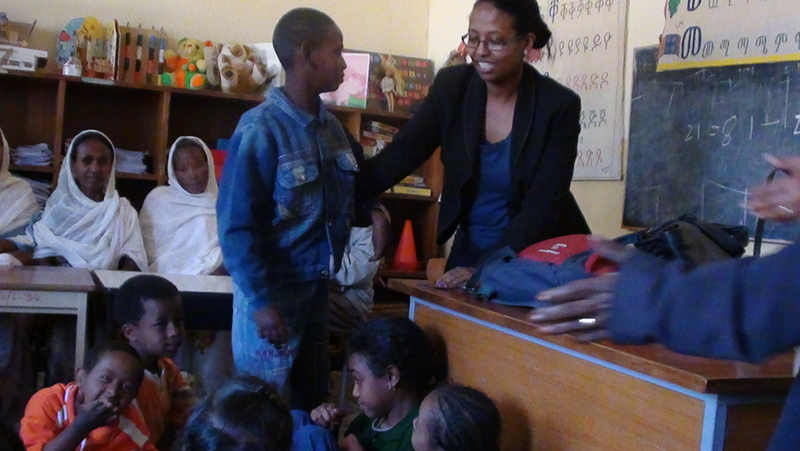 The Ministry of Education on its part has allocated space for these special children in five primary schools in Asmara, all of which are currently at basic level with scant educational material, minimal number of qualified special needs teachers and hardly any allocated educational psychologists or assessors. Traditionally in many parts of Eritrea, parents of children with any abnormality, in particular those with mental health issues are seen to be cursed and generally shunned by the community. Many parents therefore choose to keep such children hidden from society thereby avoiding the inevitable stigma and embarrassment, while negating the child any chances of a fair deal out of life. More recently, and especially since the independence of the State of Eritrea, the Ministries of Health, Information, and Human Welfare have made some inroads towards encouraging families to acknowledge and embrace the condition of their children by seeking help. In response to the initial request made to ERA-UK by the families of children with Autism, ERA-UK agreed with NADSAE to arrange for a counselor to travel to Asmara and provide the required assistance. ERA-UK funded the specialist training on Autism for Senait Tecle, a qualified Montessori teacher in London. 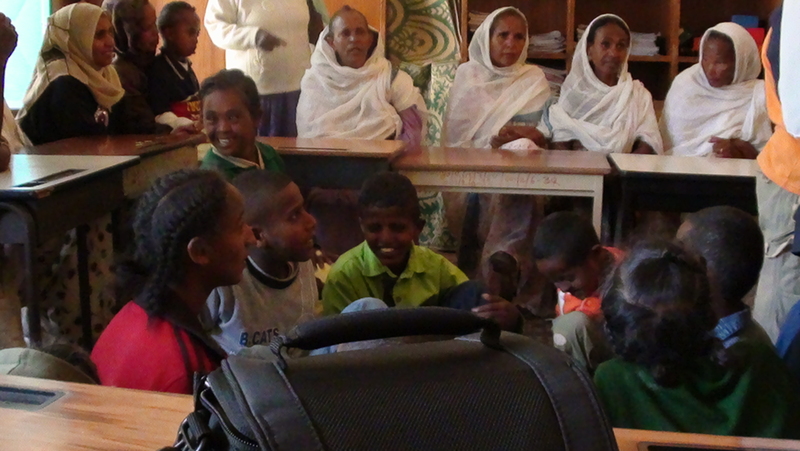 Following her training, Senait went to Eritrea and carried out a series of seminars to interested parties of the public including parents, carers, teachers and organisations working with special children. Most importantly Senait was able to meet, discuss, and counsel during one-to-one sessions with almost 130 families in Asmara and Debarwa. A basic level of sustainability of the work was also made possible through her efforts in identifying and preparing young volunteers to carry on the support work. Whilst many of the children presenting with Autism, both girls and boys, could be deemed to be in the mild to medium stages, there were a few with Asperger’s, and others with various learning, speech, behaviour and attachment disorders as well as dyslexia. To our surprise, the largest number of children presenting were those with Down’s Syndrome. The counseling covered areas such as communication including eye contact, the importance of demonstrable and vocalized love and devotion, bonding, joining, identifying and developing appropriate hobbies and activities, development of speech and learning, establishing routines and setting boundaries, health and hygiene, and last but in no way least, nutrition. Whilst many of the dietary products generally recommended for autistic children such as pulses including sprouts, fresh fruit and vegetables, nuts and seeds, fish, beef and chicken, Taff and millet are available locally, parents were surprised to learn that wheat, dairy products, sugars and fizzy drinks were detrimental to their wellbeing. Like many children, they all loved bread, pasta, cakes and Coca Cola and parents did their best to provide, thereby unwittingly increasing their level of hyperactivity. The sessions mostly took place at the British Council as arranged by NADSAE. One full day was spent with parents and about 20 children in Debarwa. A couple of sessions were held with parents, teachers and children in class at Medeber Elementary School. Senait was able to use some of the toys and materials sent by ERA-UK in her sessions with the children, though she was not able to use any of the outdoor items also sent by ERA-UK such as the bicycles and basket ball nets due to her limitation of space and time. It was reassuring to note the high level of interest shown by parents in their thirst for better understanding of the condition and the needs of their children who had been baffled by their inability to comprehend and bond with their own children. NADSAE’s membership has grown by leaps and bounds on hearing of the free sessions that were being offered through their initiative. This is a huge development in the creation of a forum for families with special children and other professionals to share and learn from the experience of others and in the provision of emotional and psychological support. Although the majority of attending parents were the mothers, there were many couples and also equally dedicated fathers who came on their own. It was also reassuring to note that in the majority of cases both parents were involved in the upbringing of their special children whilst a few fathers had abdicated their responsibility and left the mothers to deal with the children on their own. There were a few Home Alone children while their mothers went to work. At every session young men and women put their names forward that were willing to volunteer and work with NADSAE. We hope some arrangement can be developed to look after the Home Alone kids while the mothers went to work. The NADSAE administration and scores of families have expressed their appreciation for the support and training provided to them and have requested for a follow up course to assess the progress of every child and provide similar sessions to more families, including those outside of Asmara.Â NADSAE have also stressed and urged ERA-UK to provide similar supportive sessions for their Down’s Syndrome kids. The most important message passed on to the families is that it is paramount they maintain hope and a strong conviction that Autism IS TREATABLE. We at ERA-UK are committed to supporting these children as we are those under the care of our other project, National Bidho Association (affected by HIV/AIDS). To do so we rely totally on the generosity and donations from the public. There are many ways to help us work with both projects, be it with your time, cash or in kind.